Reason I posted the question on comparing the Diamond & Jewell is because I've got Jewells on all but one of my CF comp rifles, and on all three of my 22RF 40X/XB & V-22 repeaters. Customer asked for a Diamond on his V-22 bbl'd action, so I ordered in a couple. Thinking of using the 2nd Diamond on my new V-22 bbl'd action when it gets here - otherwise, will go with another Jewell. I had one of those Jewell BR models on a Stolle Panda LV BR rig years ago - a 2oz trigger takes some getting used to, and I'd never consider using one on a 22RF repeater that's going to be shot in anything but benchrest. If shooting in only a clean, dry environment then that will work fine. You saying if it gets wet or dusty it won't work? You don't have to set it on 2 oz. you can go up to 3 you know. On a more serious note, why wouldn't you use if for anything else? Afraid of an AD? Absolutely! The 2oz Jewell BR on that Stolle Panda was so light that the only way I found to shoot it safely was to put my thumb on the backside of the trigger guard to locate & stabilize my hand, then carefully reach for the trigger with my index finger. Waaay too light to use for anything but BR shooting. OTOH, I've been using Jewell HVRs for years on prone rifles on ranges such as Whittington Center near Raton & Ben Avery out on the north side of Phoenix. The wind & dust/grit on both these ranges can get pretty bad, but I've yet to have experienced a problem with the Jewells on my prone rifles. Not that I've never seen anyone else have problems with their Jewells, but those few times were on grassy wet ranges with very little to no dust. Whatever - I've shot far more NRA LR & MR prone matches than I have actual PRS matches, where rifles can & will be exposed to dusty conditions. I might be a whole lot more prone to buy & use something more like a Timney if I were going to go down to Oklahoma and shoot the Heatstroke PRS match. Question for those of you that have had your actions for a while now, was the bolt smooth to work or did it get better with use? The one I have is new and just feels sticky in some spots and doesn't run smooth. I assumed since it was new, and do you guys lube your bolt and if so with what. Have seen several V-22 owners using TriggerTech Diamond triggers - wondering if any of you Diamond owners also have experience with Jewell HVRs. If so, would like to hear your opinions of how the two compare. That's about all I've used over the years. I had a problem once, I sprayed the Jewel with carb cleaner and no problems since. I just got the Diamond pro a few weeks ago so I can't comment on durability/reliability, what I can say is it absolutely and totally has the best feel of any single stage trigger I've felt. In comparison the Calvin I had sucked, for more than a few reasons too. You are probably right about the feel. My thoughts were, on a 22 rimfire it wouldn't be as bad. When I used to compete in IHMSA I had a BF Arms in 7 Super Mag "necked down 357 Maximum". It had a very light trigger such as 2 oz and it was hard to get a feel for. I'll be ordering my Vudoo in a few weeks. I know exactly how I want it built with one small exception. I've decided to go with a TriggerTech Diamond, I just can't decide whether to go with the pro curve or the flat trigger. My intended purpose initially will be for local competitions off a bench @ 100yrds and hopefully get into long range steel, if and when it becomes available in my area. Any advice is appreciated. We have 2 Vudoos in our house and a friend has one. All 3 were sticky when we picked them up. I did what I do with every new rifle before shooting it. I took out the bolt and thourghly cleaned the bolt and action to remove the rust inhibitor that every manufacturer uses. I then lubed the bolt with a good quality firearm grease (Rand Hawg Grease). When I put it back in and ran it a few times it was very smooth. After the 1st range visit I did it again and now it is silky smooth. This action was designed and manufactured to run fast and smooth without giving it a 2nd thought. I've got a Timney Elite, Trigger Tech Diamond, Jewel BR, Flávio Fare, Anschutz 5018, Bix n Andy, and Suhl 150 triggers in my 22's. Though it's really hard to beat a nicely tuned 5018 or Suhl trigger, the Bix n Andy in my Vudoo is my favorite. So today a few of us went to the range to do a little practice for the NRL22 match tomorrow. One of the motivating reasons to step up to a Vudoo was the frustration of the past few years of shooting 22 matches. What I mean by that is the frustration of knowing that you made a good shot and then not getting an impact. I can deal with the fact that I missed a shot but when you know that you did your part and maybe even very well but you still don't get a hit then it is very frustrating. I got so tired of going through the mental gymnastics of: did I jerk the trigger, was it a bad wind call, was it ammunition, was it a parallax issue, what happened? With my centerfire rifle I know when it is rock solid and have a quiet confidence that if I do my part then success will follow. I had that same feeling at practice today. Very relaxed and predictable. Even on a miss when you aren't jumping through hoops trying to think if you can trust what you see on the miss and make a correction. I can't count the times where I've read the miss and corrected on the 2nd shot only to hit where I should have on the 1st shot, back and forth, over and over. I'm not saying that this won't still happen with my Vudoo but it is so much less and by a smaller margin. I can now trust what I shoot and see again and just that quiet confidence was worth the price of admission to Club Vudoo. What surpressors are working good on the Vudoos? I have a couple tax stamps to spin my own up, but no time in the near future. I keep thinking about a TBAC Takedown or a AMTAC fireant. Has anyone tested Cci mini mags hp or soild @100 yds? In their Vudoo. I am looking for a good 100 yds load. Or has any one found a good 100 yd load? I am using a Thunderbeast TD and am very happy. Accuracy and sound suppression are tops. I am using a Silencerco Sparrow and it works out really well and the poi shift was minimal, the sound suppression is excellent. I have a magazine release question. I usually have to give the magazine a little push forward when pressing the magazine release to have the magazine drop. Is this normal or should the magazine just drop when the release is pushed? What DBM or Chassis are you using? You may have to remove a little material to get the magazines to drop freely. Look for the shiny spots where the magazine rubs and take a little off with a smooth file. I had to "adjust" three of my four magazines. Grayboe Renegade stock. I just switched the release lever that came with the Vudoo to the lever with the extension that goes below the trigger guard. I think I figured it out. The new lever had a sharp/rough edge on the part that locked the magazine in place. That rough edge seemed to catch the magazine and wouldn't let it drop. I just took a small diamond to smooth that edge out and it seems to work OK now. I ordered a Vudoo barreled-action because I already had a MPA Hybrid Chassis. Would the barreled action just drop into a Grayboe Ridgeback stock? I've tried a Dead Air Mask, a Rugged Oculus and a Griffin Armament Optimus Micro. I'm a bit partial to the Rugged Oculus, but they all shot great with the Vudoo. There are about 5-6 rimfire cans that you really can't go wrong with and I'm sure you'll figure out which ones those are quickly, but I would avoid any with aluminum components. Perfectly said Mike. The guy is "USING" the chassis. NOT RUNNING IT! You can't run these things, it doesn't have legs. It just drives me insane. Does anyone see the word "RUN" in this photo? Does anyone see the word "USE" in this photo? Yessir, drops right in, torque it down and done. I’m just curious, but I know I’ve seen someone in the forum that has a lefty Vudoo V22 mounted in an Accuracy International AX chassis. Anyone seen this rifle? That is exactly what I’m wanting, but have questions on the chassis modifications it would require, considering they don’t make the chassis in lefty. I'm running a Tactical Solutions Axion and have zero complaints. POI shift, durability, cleaning, and rated up to .22 Hornet. I use a Silencerco Sparrow and an AAC Ti-Rant 45M. I bought the Sparrow first and if I knew then what I do now I wouldn't have bought it. The Ti-Rant is much more versatile and to my ears just as quite. A side note, I am still trying to figure out how people are "running" their suppressors. I can't get mine to "run" anywhere. Thanks for the intel. New mantra is torque, lock and load. I am running AI chassis and Manners stocks in my Vudoo and 40X repeaters. I also run Tubb triggers and S&B scopes. Run is a colloquial term. Has same number of letters as use. Many, most, people use terms that are technically incorrect. For example, the term muzzle velocity when the correct term is muzzle speed. Velocity is a vector so has both magnitude and direction. Speed is the magnitude of velocity. I have never seen a traffic sign with VELOCITY LIMIT. Another is the term pressure when the correct term is traction. Pressure is a particular state of stress in the interior or a material. Traction exists at the interface between materials. However, do people appreciate being told the correct technical term or the correct use of English language itself? Quite the opposite in my experience. Hostility with a capital H. Must be using the same words gives people the in-group feeling, just as using the same equipment. You are automatically an outsider if you use differ words or propound different equipment and therefore are suspect, particularly if it or they go against the wisdom of the gurus. Kiss of Death- maybe you could start a shooting grammar thread. I'd run to follow that. usafa77, you did good. This is the proper use of the word run. Keep up the good work. Ouch. Guess that grammar comes from my car and motorcycle back ground. Very common phrase when discussing components on motorsport equipment. 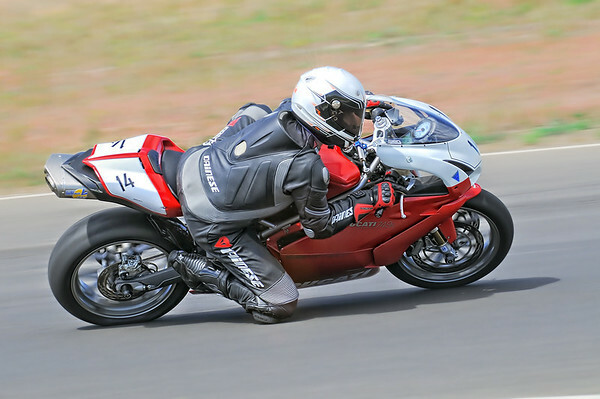 My Ducati is "running" a Leo Vince SBK exhaust in this image. However, do people appreciate being told the correct technical term or the correct use of English language itself? Quite the opposite in my experience. Hostility with a capital H. Must be using the same words gives people the in-group feeling, just as using the same equipment. You are automatically an outsider if you use differ words or propound different equipment and therefore suspect, particularly if it or they go against the wisdom of the gurus. If this thread has devolved to the point of the grammar being more important than the content then I'm out. I'll spend my extra time on the range instead of the forum. I would never construct a sentence like that. I would simply say, "I have a Leo Vince SBK exhaust on my Ducati. I guess it's an age difference think. You should be going to the range anyway. I consider it an honor to help you go more often. In hopes of getting this thread back on track, here is a mediocre pic of my Vudoo in a Manners T5A. Well done wonderful piece of work. Now my ???? is has anybody or is anybody done or doing ammo testing at 100 yds? I’m interested in finding a high velocity, 1250 FPS., or so, 100 yd. load for my 100 yd. egg shoots. Kilo Oscar Delta: You are the man. A hammer is a tool. A rifle is a tool. Books are tools. Words are tools. You take satisfaction, and perhaps some pride, is using them well. NWnewguy wrote in a post "in hopes of getting this thread back on track." I ask myself what is the track. or what should be the track? To post photos of your Vudoo? For bragging rights? To be in the club? Or hopefully, to exchange information? If someone cannot put shots on target, who cares what they own and what they use. If you cannot put shots on target you are a collector, not a rifleman. In that vein, since this is a military oriented blog, what about medals for marksmanship that would go along with your handle and rank. Medals for long range shooting , PRS shooting, traditional positional shooting, ....... Then, depending on your medals you posts would have more or less cred. For me the ultimate test of marksmanship is standing, offhand. Not that currently I am good at it, somewhere between mediocre and almost respectable. I am waiting on my Vudoo V-22. About a month to go. Will drop it in a MPA Hybrid Stock and head for the range for sighting-in and ammunition selection. Any comments on most accurate ammo for a Vudoo V-22? Not that extreme accuracy really makes much of a difference for standing, offhand shooting. The total dispersion is the square root of the sum of the squares of the individual components of the dispersion. So if the marksmanship contributes 6 MOA, the rest of the weapon system can contribute 2 MOA and the total is only 6.3 MOA. Comforting even if the targets are embarrassing. My Vudoo with the 18" Ace shoots CCI SV and SK Std+ well. I've also tested Center-X, R50, Tenex, GM Ultramatch, SK Rifle Match, SK Pistol Match Special. Last two 100/200 yds matches I shot SV and Std+ for 3rd and 4th place finishes. Here's a recent one I fitted up. No bedding. 100% surface machine inlet. Took a perfectly good McMillan and stuck a Walnut bedding block in it, then 3D machined the receiver inlet, floor metal, etc. A few years ago, you did a the same kinda thing on an aluminum mini-chassis for me on a mag. It was a already tuned action and Krieger barrel but it was moving around in the stock and only shooting 1/2- 3/4 min. I got it back and after you guys worked it and now it is a legit gun. It is now up there with my Voduu as one of my all time favorite guns.